Cautious scrutiny important as Dr Xia rides wave of optimism. It’s important to state at the outset that the change of tone and outlook at Villa Park is refreshing. It’s great to be pondering the future, embracing the ambitions of our new owner and simply not having to endure another year of Randy Lerner. The engagement of the new owner via social media, whilst fraught with inevitable pitfalls, is at least a change of tact in respect of communication. The “will they, won’t they” Petrov contract story was a welcome distraction from the transfer rumour narrative. The reports of future development of Villa Park and the opening of an academy in Asia are promising the initial seeds of change. Aston Villa certainly needs change. The question is what will change look like for a club, whilst having been adrift for over a decade, can also look back upon rich heritage & success? Also, as supporters, what are our renewed measures of success after years of creeping mediocrity? Promotion? Survival? Holding onto Jordan Ayew? Having an Aston Villa on each continent? For all of the optimism and hope that Xia’s new reign promises, we mustn’t be blinkered, naive to the facts or forget that our immediate needs are arguably simpler at this juncture. Further, we mustn’t be afraid to scrutinise, openly debate or constructively criticise the new regime. The hounding of fans voicing concerns on social media, irrelevant of whether those views are agreed with, is also a sour note to be taken from the close season’s online exchanges. 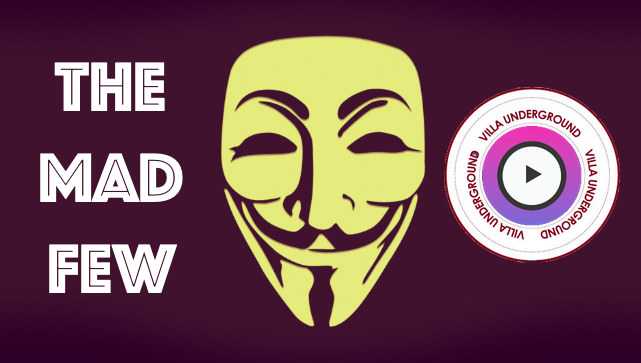 After-all, there is still good reason to reserve judgement upon the make-up of the board, their aspirations and broader plans for Aston Villa. This may ultimately prove well intentioned, but it doesn’t grant anyone freedom to be above comment, scrutiny or fair debate. We have suffered repeatedly for poor decision making within the clubs hierarchy, need I remind you. 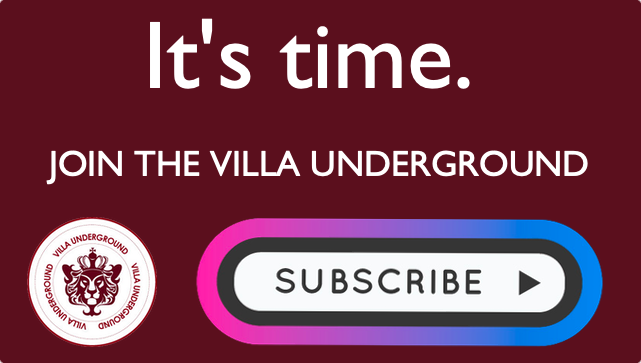 The growing concern from The Villa Underground, at a defining period in our clubs history, is how ill-prepared we appear as an important season looms. In terms of footballing personnel, man for man, is the current squad fit for purpose? It’s a travesty that so few would realistically be missed if they disappeared tomorrow. And that’s got to be a major concern. Whilst pre-season fixtures should certainly be viewed as exercises of fitness and coaching ideas, Villa have struggled to inspire confidence of an imminent rehabilitation after a forgettable draw at Bristol Rovers & unwatchable game against FC Nantes. The lack of activity in the transfer market was certainly hampered by the late conclusion of Xia’s purchase, but despite a growing narrative of global ambition, our attentions may prove to have been misplaced. As things stand, the signings of Gollini, Elphick and Tshibola are our only recruits into a squad that departed the Premier League amongst the poorest sides to compete English top flight English history. Indeed, remarks by Roberto Di Matteo that Villa need to trim the squad are at best politically correct. Di Matteo cannot after-all publicly slate a group of players whom he will likely be stuck with in the absence of attractive suitors. Trimming the squad is fine, financial prudence is of course important, but this has to run parallel to reinvigorating the squad. The lack of a marquee signing doesn’t particularly ring any alarm bells, but the absence of any calculated acquisition of fresh blood to prepare us for Championship competition should. For instance; Does Roberto Di Matteo seriously believe that Leandro Bacuna can be rehabilitated into contributing anything meaningful for Aston Villa? Or is it that given incredibly limited options, coupled to the Dutchman’s long contract, that he is lumbered. Contrast that with a loan deal seeing the disappointing Carles Gil depart to Deportivo La Coruna. Whilst Gil’s glimpes of quality have been fleeting, the player who burst onto the scene against Bournemouth two seasons ago would logically be “trimmed” after a player such as Bacuna? 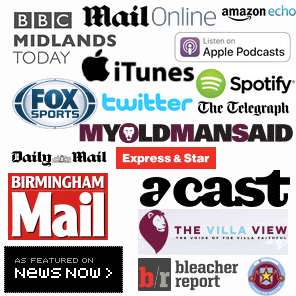 Does a new look Aston Villa want to rebuild itself with a Lescott or an Agbonlahor? This season is massive for Aston Villa. Huge. It may well be an inevitable season of “transition”, but it daren’t be one in which matters become a whole lot worse. 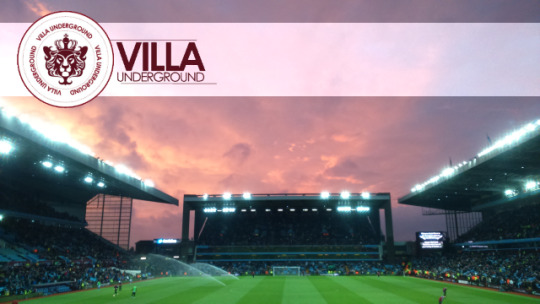 Twitter chats with fans, new academies and plans for a global Aston Villa are dreams that I like many are happy to be a part of, but we mustn’t take our eye off the thing that drives it all: winning football matches. The football must come first, our focus must be upon improving immediately or these lofty aspirations will simply not become a reality. Aston Villa: Football’s ‘Game of Thrones’.